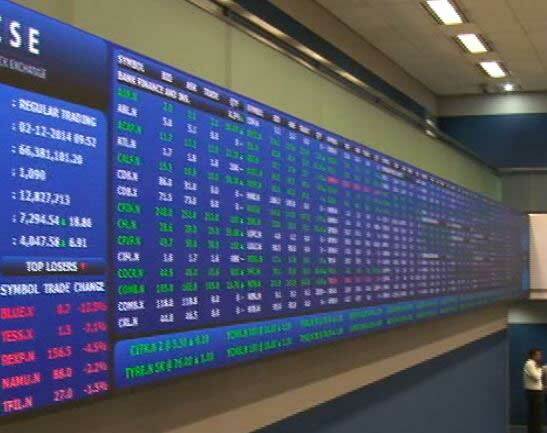 Colombo, April 11 (newsin.asia) – Shares at the Colombo Stock Exchange ended 0.18 percent higher amid subdued turnover levels on Wednesday. The All Share Price Index ended 6,451.17, up by 11.34 points. Softlogic Finance PLC, Chevron Lubricants Lanka PLC and Lion Brewery Ceylon PLC led market activity including crossings with trading in Softlogic Holdings PLC amounting to 61 percent of total turnover. Total market turnover amounted to Rs.553 million (an estimated 3.5 million US dollars) while active foreign participation resulted in a net outflow of Rs. 421 million (an estimated 2.7 million US dollars).